Mr. Kothari with his efficient team has handled very diverse groups - from rating agency professionals in Malaysia, to group of investors in Sydney, to tax officers in South Africa, to group of lawyers in India, to executives of the World's largest securitisation agency in Washington, to a group of quants in New York. Vinod Kothari, based in Calcutta, India is internationally recognised as an author, trainer and expert on securitisation, asset-based finance, credit derivatives and derivatives accounting. He is a part of an Asian Development Bank consulting group to advise the Government of India on reforms in secured lending law and the Executive Director of Asian Securitisation Forum. He is also currently a Visiting Faculty at the Indian Institute of Management. Vinod Kothari is also internationally acknowledged as an expert on leasing. His book ‘Lease Financing and Hire-purchase’, now in its 4th edition, runs over 2000 pages and is read in several countries and respected as the most authentic text on the subject all over Asia. His articles on leasing have appeared in Monitor, USA, Equipment Financial Journal, USA, LeasingLife, UK, Journal of International Banking Law, UK and many other international publications. 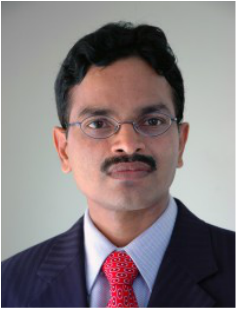 Over the past 15 years Vinod Kothari has consulted for a number of international clients around the world. He undertakes comprehensive consulting on securitisation including structuring advice, drafting, legal documentation, opinions, financial evaluation, modelling, etc. He is also unquestionably India’s top leasing expert. Securitisation: The Financial Instrument of the Future.